Geography of the world marketing and European startups ecosystem is ongoing changing. Looking at 2016 reports of Startup Genome and DealRoom.com we can notice that opportunities, advantages and benefits for European companies change on average every two years. In 2016 we have been witness to an exponential growth of the Portuguese startups, by a 1,7% increased GDP and of how the same multinationals and startups have chosen Lisbon and Porto as European HQ for business, networking and marketing activities. This new way has increased the employment rate by 3%. If you think of Portugal and its employment rate in 2013, the actual situation causes huge surprise and, why not? even hope, word that nowadays has become mandatory when we listen to thousands of young Italians creating startups. 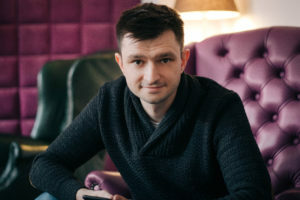 From Western Europe, move to the Eastern, precisely to Wroclaw, where I – Luca Tamburrino of besourcer.com – used to live and work at the Business Link Wroclaw, the most important Polish startups incubator existing in nine cities of Poland since 2013. Four years ago I started to work for Business Link Wroclaw, at the beginning of the expansion and development moment of the new startups’ era and of the Polish tech industry. Four years ago when I first opened the BLW’s door it was just a space of about 800mq in the most important commercial street of Wroclaw. There were only 10 startups, two VCs, lots of doubts but endless motivation in Polish young people who were ready to create new IT companies. Four years have passed, startups have become 60, big brands and corporations have decided to transfer dozens of employers in the big BLW’s co-working space to consolidate their leadership; every day there are so many coding courses for under 18s and the quality of private investments has considerably improved. 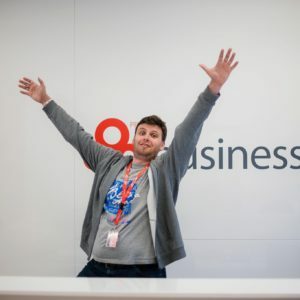 Before telling you about the impressions and the stories of Lukasz Lergetporer – Manager of BLW, Natalia Wartecka – Office Manager of Axwave e di Jakub Gajdamowicz – Founder of LandscapeLab, I would like to quote what, in my opinion, is the deepest thought I’ve heard in the period spent at Business Link: “Earlier we used to go to U.K., now we can go back to our native country with our children, we can do business and work with our peers in conditions that didn’t exist before. This is our new London”. Hi Lukasz, what is Business Link and what are the most important aims as incubator of startups? Business Link is a network of accelerators operating in the most important Polish cities, born to help companies grow and achieve global success. Our goal is to remove barriers and provide startup founders of the best tools that help them focus on business development. We are proud that we were able to help so many talented Polish founders achieving their goals. Founders, entrepreneurs, startup owners, you can call them how you want, it’s all about people and we are delighted that we were able work with so many. As Manager of BLW, what do you think about financial support from VCs of your country? Is it easier for Polish startups receive financial support? I think nowadays money is the easiest part of business. Right people, right timing, product development, experience… these are the things that matters. If you have good product, if there is market need, if you solve problems money will come naturally. I believe we live in the best time to be entrepreneurs. We do our best. I believe that right now we are in a very interesting place to run a global business. Can you share with us your three favorite Polish startups? iTaxi, it’s the mobile first biggest taxi network in Poland. If you study their history and how they fight for their vision it’s really impressive. Every startup founder should read about their story. BaseCRM is already a global success, it is really inspiring when you see how startup from Poland compete with biggest global brands on such a competitive field which is CRM Tools market. LiveChat is an amazing product, great people and really inspiring story of their success. If I could define their story in one world, it would be patience. It’s so important in entrepreneurship, especially when you take a look at younger generations. Patience is crucial. Wroclaw is the second European headquarters of Axwave. Guess who have founded this amazing company? It’s 100% made in Italy! Damian Scavo, Loris D’Acunto and Manuel Gilioli are the three Axwave’s cofounders. This company has got location in Silicon Valley, New York and Empoli so far. If video is the king in the world as channel of communication, in Poland you can meet Jakub Gajdamowicz, of LandscapeLab one of the most important creative entrepreneur became an influencer with his Youtube Channel. Jakub, can you tell us how many changes have you seen in the last five years in Poland about startups? How Polish startups’ ecosystem has changed according to your experience as entrepreneur? In the last five years we’ve seen an incredible huge startup ecosystem that have grown up thanks to many talented founders with really great ideas. Our history as country was very hard and I think for this reason we’ve built this great ecosystem with an incredible force, determination and passion. In last five years many Polish startups have been acquired from many corporations based in USA, UK and Germany. I think the era of lack of confidence in Poland ended. You are one the most followed Youtuber entrepreneur in Poland. When did you started and what are the most important achievement that you’ve reached till now with your Youtube channel? I started my Youtube channel because I wanted to document my journey as an entrepreneur. When I started making videos, I was running a digital agency in Wrocław, now it’s been four months since we started LandscapeLab, tech startup where we are building app that will change the way people do market research. It’s been one hell of a ride and it’s all documented on the vlogs, and that’s the beauty of Youtube and documenting the process. Why did I start? When you are entrepreneur, especially at young age, you see advisors all around you. I believe advices have very small value, advices need context, without it, every word is meaningless. I want to show the way I do it, and if this will inspire someone I win. Can you share with us your three favorite Polish startups? Don’t forget to mention also the reasons of your choices. Brand24 and Michał Sadowski and what he did for the Polish startup scene is really impressive. Not only he has built an amazing business, he also has huge impact on Polish entrepreneurship. He is an example that you can build in Poland global business from scratch. I really like how Michał is transparent about his startups, how he shares his knowledge and experience, it’s really amazing for whole community. LiveChat, now it’s a huge company but I love LiveChat story, really true impressive startup story, sweat, pain, hard work and patience: that’s how I would describe LiveChat. Their success should be the recipe for every aspiring startup founder. Drone, in the end, as customer intelligence and marketing automation platform. I love the way they do storytelling and how they treat culture in their startup. Why Wroclaw can be a new great location for startups and IT companies? Berlin its very close to Wroclaw, max three hours by car. You need to consider it if you want to improve your market. I didn’t have any words to describe quality and quantity of informatics, engineering, developers, data analysts and all kind of people expert in Back End. Actually it’s not false! According to the last report of HackerRank called “Which Country has the best developer”, Poland it’s in the top 3 of wordlist with 98.0 score index. Since 2014 more corporation as Google, Nokia, Adecco, IBM, Credit Suisse etc. have decided to move here. Also thanks to this great news, this amazing city have only 6% of unemployment rate. Before choosing Wroclaw as your next startup destination, you need to take a look of the story of Tech Saturdays created by the Irish tech entrepreneur Dermot Corr and keep in touch with the amazing Indian Creative Entrepreneur Parry Sondhi founder of Pop Up Job Fair. As foreigner entrepreneurs they made a lot for Poland in the last five years.